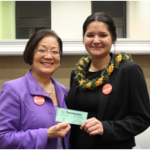 (Left to right) Jamie Wright, Ellie Leialoha and Dan Baston. 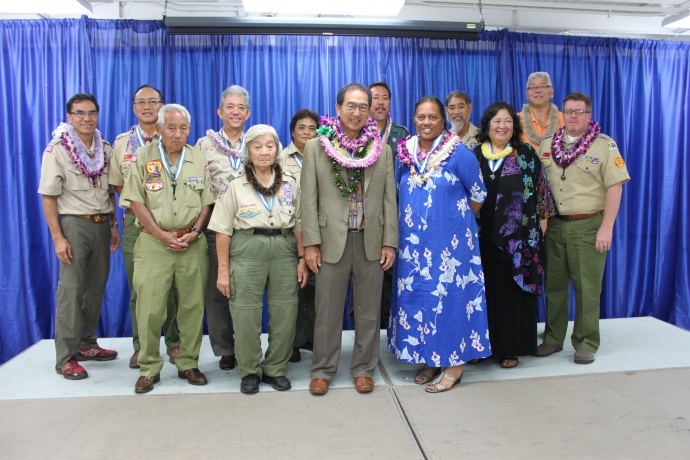 Maui County Council, Boy Scouts of America photo. 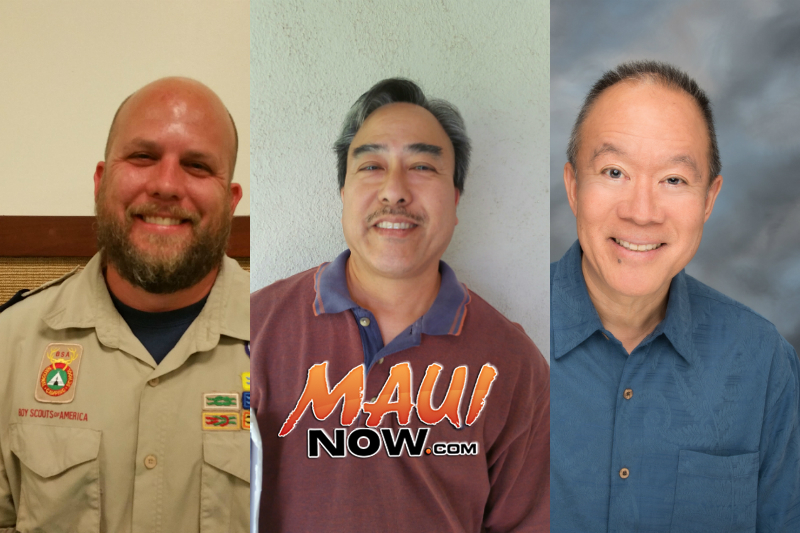 Volunteer Ellie Leialoha will receive the prestigious Silver Beaver Award and volunteers Jamie Wright and Dan Batson will receive the District Award of Merit from the Maui County Council, Boy Scouts of America, in a ceremony on Jan.23, starting at 5:30 p.m. at the LDS Maui Lani Stake Center in Kahului. The Silver Beaver was introduced in 1931 as the highest scouting award given at the local council level; the Silver Beaver recognizes volunteers for consistent, dedicated service to the area youth, both in and out of scouting, over their tenure as a volunteer. The District Award of Merit a Council Award is presented to any registered scouter who contributes service of an outstanding nature. Sign up to attend at www.mauibsa.org/cab2016. The LDS Maui Lani Stake Center is located at 1300 Maui Lani Parkway. 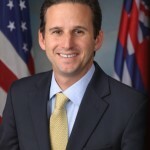 For more information about Maui County Council, Boy Scouts of America, visit www.mauibsa.org.